Calcium is an essential nutrient necessary for the development and maintenance of strong bones, teeth, muscles and nerves. It is also helpful in preventing heartburn, premenstrual syndrome and other ailments. For adult women and men, you should aim to get 1000mg of calcium each day. If you are pregnant, you should be getting 1300mg of calcium each day. For children, the RDA varies between 500mg and 1000mg depending on the age. We know that calcium is readily found in milk and dairy products, but people who are lactose intolerant aren’t able to break down lactose, a sugar found in milk and dairy products. Lactose intolerance is due to a deficiency of the enzyme, lactase. This condition is more prevalent in Asia compared with Europe or cultures where dairy products are a common food source. Some reports say up to 90% of Asian adults are affected, with symptoms ranging from bloating and cramps to increased flatulence and loose stools/ diarrhea. 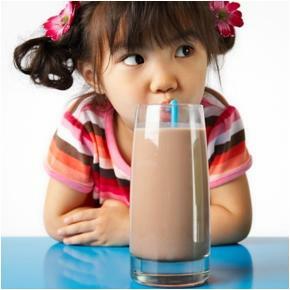 Some people may confuse lactose intolerance with a milk allergy or sensitivity. If you merely have lactose intolerance, consuming lactose-free milk or taking a lactase enzyme supplement with dairy products should solve the problem. So, if you are lactose intolerant, how do you ensure adequate calcium intake? Non-dairy sources of calcium include tofu/ soy, white beans, almonds, sesame seeds, kale, collard greens, broccoli and mustard greens. If you’re seeking dairy alternatives, just look for the huge array of calcium-fortified beverages available in the local supermarket- orange juice, rice milk, oats milk, almond milk, soy milk, etc. A cup (240mL) of cow’s milk gives approximately 300mg of calcium. Most of the calcium-fortified beverages give a similar amount of calcium per cup. If you’re unsure, read the labels. The best way to get our calcium is from our diet, but calcium supplements are an option for those whose diet is lacking in this important nutrient. When choosing a calcium supplement, pick one with vitamin D, which helps the body better absorb calcium. Also, beware of calcium carbonate formulations- many recent studies have found that this type of calcium is contaminated with lead and other toxic heavy metals. This entry was posted in Babies/ Children, General, Men's Health, Nutrition, Women's Health and tagged calcium, lactose intolerance, vitamin d. Bookmark the permalink.